Oh Wellington CBD area is in SUCH need of a local haunt. I was excited to see Bruhaus close (it was so dark and dingy feeling, just not my cup of tea) and had such high hopes for its successor. 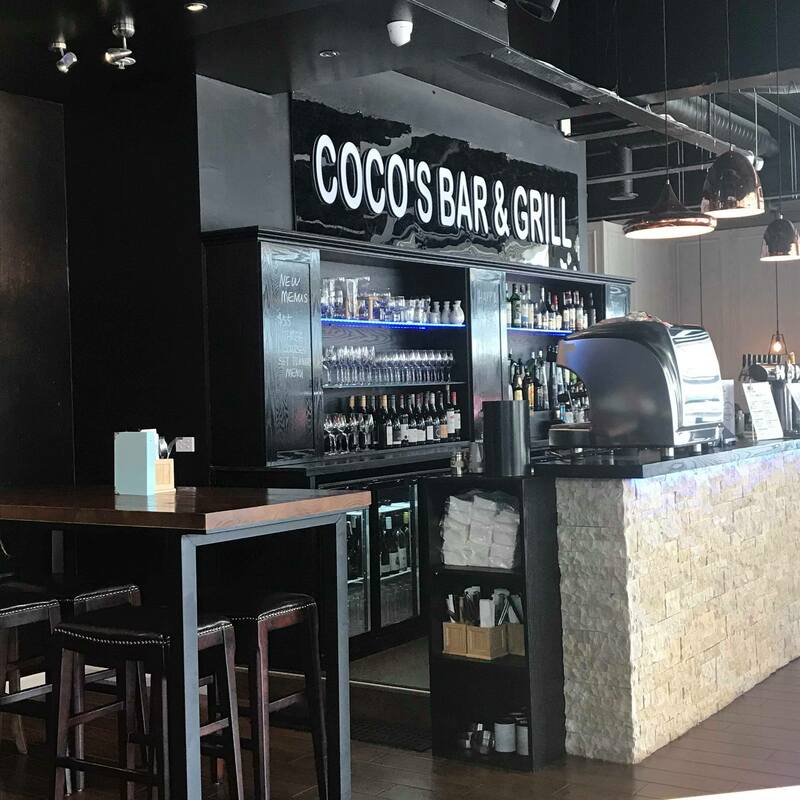 Coco’s changed the decor a bit, vamped up the menu and dropped the prices… however for reasons mentioned below, I just don’t think that it’s going to last. We decided to trial it for a work day lunch. It is featured in the Entertainment Book, as a two for one deal. 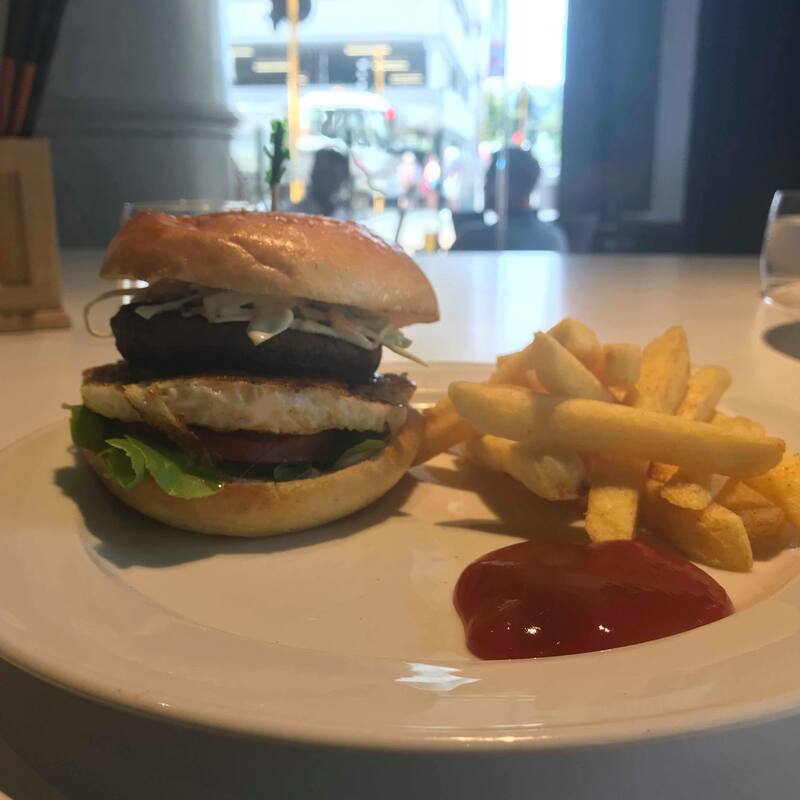 Even without the deal, I still thought the prices were considerably low – burgers were $15 each and it only cost $1 to add fries! The menu is Japanese inspired, and admittedly the place does this well – but the Japanese theme basically ends there. If Coco’s was a person, I’d definitely describe it as confused about its identity! The interior of the building is quite cavernous. There has been an attempt to brighten the place up a bit, by adding a bit of white into the colour scheme to make it feel more airy. This works, but the pictures on the walls are quite random (we had a bit of fun guessing how they could be tied in to a Japanese theme). I have to say I don’t like the interior at all, despite being a marked improvement on that of Bruhaus. The food was tasty (especially for how cheap it was). The portions could have been bigger, but at those prices it’s not too big of a deal to order something extra. There is a great selection of craft beer available, as well as various wines and spirits. The staff were also super lovely. I’m not sold on Coco’s to be honest (in case you couldn’t tell already!). Maybe I’m predisposed to not liking it because of my distaste for Bruhaus, but I think someone needs to take it over and hit reset on the internal layout of the building. It’s in such a convenient location, that it’s a shame that it didn’t change more from how Bruhaus was.